A 2014 survey by Israeli business information group Coface BDi estimated sales of disposables and plastic tableware in Israel at around $124 million (NIS 450 million) annually. This year, BDi estimated that annual sales had reached $187 million (NIS 680 million), a 51% growth in four years. Retail data from research company Storenext Ltd. estimates annual sales of disposables in the country at $145 million (NIS 518 million). 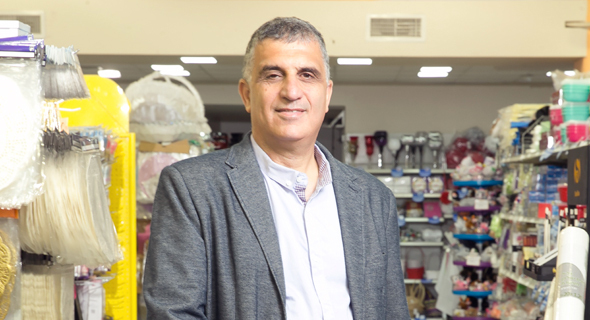 Rami Sar Shalom, owner and CEO of Israeli disposables and packing products company Peamit Co., recently told Calcalist that Peamit is opening two to three new stores each year, and that the company is looking to set up an international retail chain. Founded in 1982, Peamit is one of Israel’s largest suppliers of disposable tableware. In June 2017, Apax Partners LLP bought 55% of Israeli discount retail chain Max Stock, another top player in the Israeli plastic and disposable product market, according to a company valuation of $83 million (NIS 300 million). Max Stock is listed as Max Management Israel Ltd. In May, Israeli cleaning products manufacturer Sano-Bruno’s Enterprises Ltd., known as Sano, and investor Yitzhak Suary bought 50% of Israeli disposables company WinPac in a deal estimated at $37 million (NIS 135 million). In 2015, Neto Group bought Palace, a manufacturer of plastic, paper and aluminum disposable tableware, for $22 million (NIS 80 million). 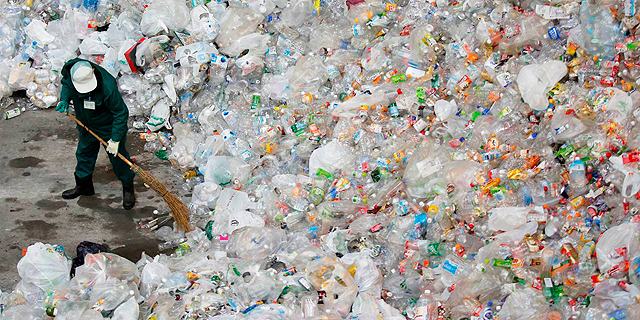 According to Israel Aviav, co-founder and CEO of WinPac, Israelis consume the largest number of plastic cups in the world on a per capita basis. Based on his experience, he said, Israelis use more than 250 million plastic cups and more than 12 million paper cups per month. “Every office, every kiosk, every doctor’s clinic, they all use plastic cups,” he said. Aviav links Israel’s heightened use of disposables to a cultural tradition of hosting big family dinners, and to the preferences of the Orthodox Jewish sector. Much of the consumption of disposable tableware in Israel can be linked to the country’s ultra-orthodox population. Netanel Leifer, an editor for online magazine Kikar Hashabat, which caters to ultra-orthodox readers, told Calcalist that ultra-orthodox neighborhoods have hundreds of disposables stores. “For every convenient store, there is a store selling disposable tableware. It is very common,” he said. “Many Yeshivas use disposables regularly because it is cheaper than hiring a dishwasher full time,” he said. “The ultra-orthodox society does not prioritize environmental issues,” he said. Plastic pollution is a worldwide epidemic. A recent report published by the Ellen MacArthur Foundation said that by 2050 the world’s oceans will contain more plastic than ocean life. According to the report, 8 million tonnes of plastic are thrown into the ocean each year, equaling one full garbage truck dumped into the ocean each minute. In the Pacific ocean, somewhere between California and Hawaii, a huge floating island of plastic span 1.6 million square kilometers, 2.5 times the size of France and 80 times the size of Israel. Growing awareness of the damage caused by plastic waste has led many countries to try and limit the use of plastic disposable tableware with education and legislation. In 2016, France made the selling of non-perishable disposable plates, cups, and cutlery illegal. The law will come into effect in 2020. The European Commission has begun promoting a similar law in May. Galia Pasternak, a Ph.D. candidate at the University of Haifa’s School of Marine Science, analyzed waste along Israel’s shore between the years 2012-2018 as part of her dissertation. Pasternak told Calcalist that she discovered that the amount of waste along the Israeli shores is the highest in the world. “I began the research while I was working at the environmental protection ministry because we did not have the necessary data,” she said. “One of the most disturbing findings was that about 90% of the waste along the shore is plastic, compared with a global average of 75%,” Pasternak said that the amount of plastic waste, such as cups, straws, plates and food packaging, is rising. “Up until a year ago, we had a large concentration of plastic bags, but these went down with the law banning plastic bags.” Israel began taxing the use of plastic bags in January 2017. Israel’s sea water is filled with microplastic, which are tiny plastic particles. Two surveys, one by the School of Marine Science and the other by the Euro-Mediterranean Center on Climate Change (CMCC), found that the quantities of microplastic off Israel’s coast is nine times higher than the average in other Mediterranean countries. It seems Israel is not even close to banning plastic tableware. “As far as our office is aware, there is no limitation on the import or export of disposables,” the ministry of environmental protection told Calcalist. According to Rosenbloom, such regulations are still at least a decade away. “Israel is very late to the game,” he said. A previous version of this article incorrectly stated that the floating island of plastic in the Pacific ocean spanned 1.6 million square meters. It's easy to complain and blame chareidim... but NOBODY in this country cares. From cigarette butts to tossing garbage on the ground, very few people really care. It just happens to be that chareidim are the biggest per-household users. However, nobody in the country uses real dishes anymore. The charedim eat at home and have more kids, while everyone else regularly eats out and just uses plastic provided at the restaurants. It's probably the same per capita. The biggest problem is that nobody builds their houses with dishwashers - because there's no SPACE for a dishwasher! Tiny kitchens in every home and nobody is used to the idea, means that nobody is interested. The economy would be slower if everyone had to wash dishes every night - people can work, or at least struggle to get by. Dishwashers aren't even a "thing" over here. I have one, I use real on Shabbos, but who else does? There's got to be a startup who can figure out how to recycle these things. Using plastic disposables should be considered a crime. Disgusting encourages Laziness and an attitude of Baal Tashchit! I was disgusted still am at the flippant use of plastic I saw in Israel creates such an attitude of Baal Tashchit! He sums up the mentality well “the moment you finish eating you put everything in the trash including the tablecloth, and you just sit back and relax.” Breeds a lazy mentality caring for nothing or anybody else but his own self time! The criminal is mainly the government. It is happily aided by orthodox Jews who do not like to pay more for biodegradable tableware. Shame! This level of environmental ignorance is to be expected from the countries surrounding Israel, but is appalling from the Nation of Innovation , and for what ? To keep the ultra religious support for the government ? Israel fights daily to defend its existence in its historic and ideological home land. But what about Israel's duty to the future, not just of Israel, but of the planet ? It is not enough to sit still and say Hashem will sort it. Educate.Recycle.